If you are looking for information on the Rosati's Pizza franchise business opportunity, Rosati's Pizzeria franchises or Rosati's franchising, then you have come to the right place. In 1927, Ferdinand Rosati's son Sam opened the first Rosati's restaurant in Chicago. When a streetcar ride cost a nickel, stockyards covered the south side, and the city's tallest building was twenty stories high, Rosati's was quickly becoming the place for authentic Italian cuisine. When Sam retired, his sons moved to the suburbs with a new and timely idea. The year was 1959 and pizza was catching on. Today the stockyards and street cars are gone. Sears Tower and Big John rise over 100 stories. And Rosati's continues to deliver Italian Cuisine that's fresh, hot and delicious. Now we have over 145 Rosati's restaurants in 11 states and growing. 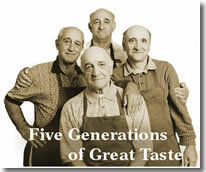 We still use original Rosati's family recipes. We slow roast our beef for that famous Chicago taste. Our pizza dough, sauces, lasagna, and meatballs are all made from scratch daily. When it comes to pizza, we use our secret blend of three cheeses and pile on the fresh ingredients as if we were cooking it for our own family. We even use an authentic baker's oven. It may take a little longer than "assembly line" pizzas, but it creates a taste so delicious to your table you'll find it's well worth the wait. Rosati's pizza is seeking highly qualified individuals, area developers, and operating partners. Approval is based on overall experience, personal and financial qualifications, and a proven track record of success. Rosati's is a neighborhood concept that is looking for a neighborhood near you. When you own a Rosati's pizza franchise, you'll be part of a family of highly motivated entrepreneurs who are serious about pleasing customers and know what it takes to operate a successful business. We offer assistance in nearly every aspect of your business, from site selection, equipment acquisitions, construction concerns, training and marketing programs, and operations support. Before opening your Rosati's pizza franchise you'll participate in an in-depth, 30-day training program at one of our locations in order to learn the aspects of the business. After construction of your store is complete and ready to open, a Rosati's pizza team goes on-site and works with your employees to help assist in the daily operations of your Rosati's pizza franchise. You will also receive ongoing support, distributions channels to purchase products, advertising, and data base mailings, all at reduced pricing for Rosati's pizza stores only.